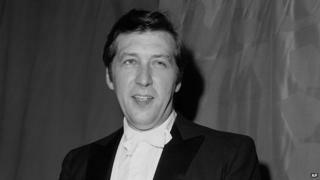 Pulitzer Prize-winning composer, conductor and musician Gunther Schuller has died at the age of 89. His son, musician Ed Schuller, said he died on Sunday morning at a hospital in Boston. Schuller was the leading proponent of the Third Stream movement fusing jazz and classical music. He won the Pulitzer Prize for music in 1994 for his work Of Reminiscences and Reflections, which was composed in memory of his late wife Marjorie. Schuller made his musical debut at the New York Philharmonic as a French horn player at 16 under Toscanini, and he spent 25 years as an orchestra musician. But his love of jazz music meant he also played with musicians such as Duke Ellington and Miles Davis - playing French horn on Davis's Birth of the Cool. He coined the phrase Third Stream in the 1950s to describe music that combines contemporary classical music with jazz improvisation, vocabulary and instruments. Schuller composed many jazz and classical pieces including the Third Stream opera Visitation.